Welcome to this ever popular 3 bedroom 2 bath Villager model home. It was expanded and modified when it was originally constructed giving you larger bedrooms, bath and garage. 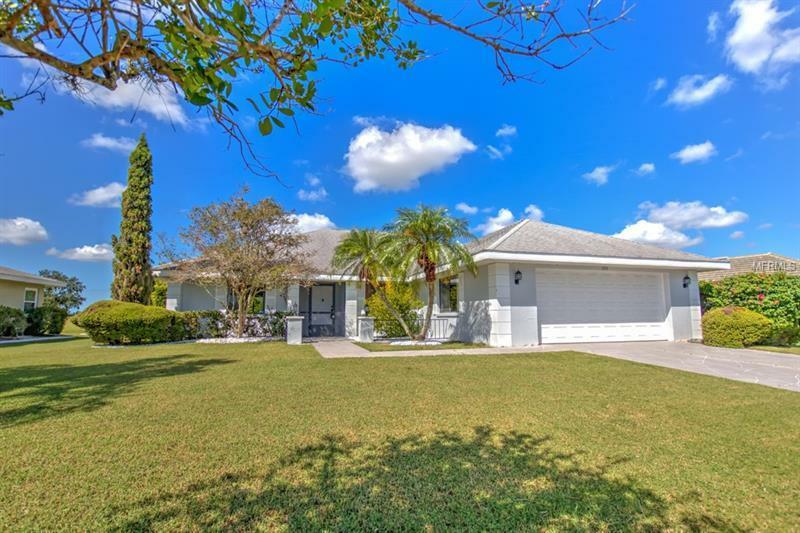 Located on the Sandpiper Golf Course, you can enjoy privacy with no backyard neighbors and you are only a few short blocks from the entrance of Sandpiper Country Club. This move in ready home features brand new Stainless Steel kitchen appliances, new washer and dryer and it is freshly painted inside. There is an oversized utility room off of the kitchen that is large enough for a craft room or office. You will also find new tile in the foyer, kitchen and bathrooms along with numerous new fixtures through out the house. This is a great property that is awaiting it’s new owner but it will not be on the market very long - make an appointment to see it before its too late! !